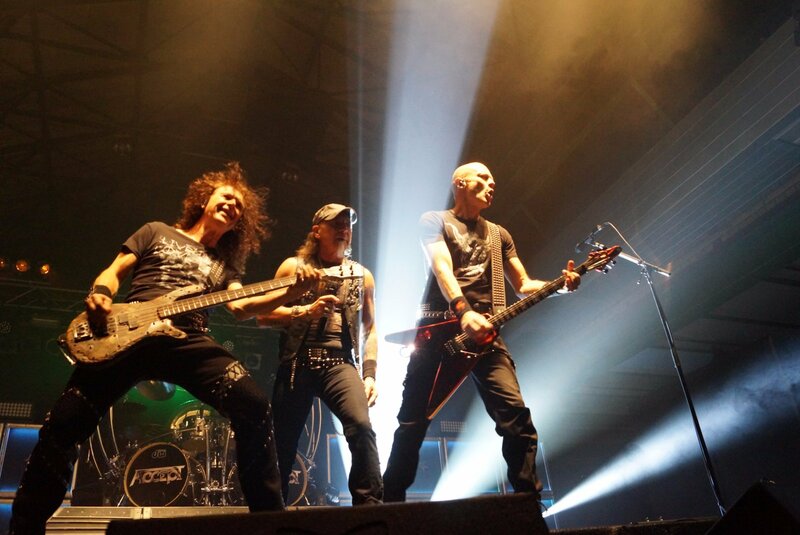 Since their mighty comeback in 2010 with American singer Mark Tornillo, Accept are on a renovated and unstoppable march to conquer every metal heart beating on planet earth. 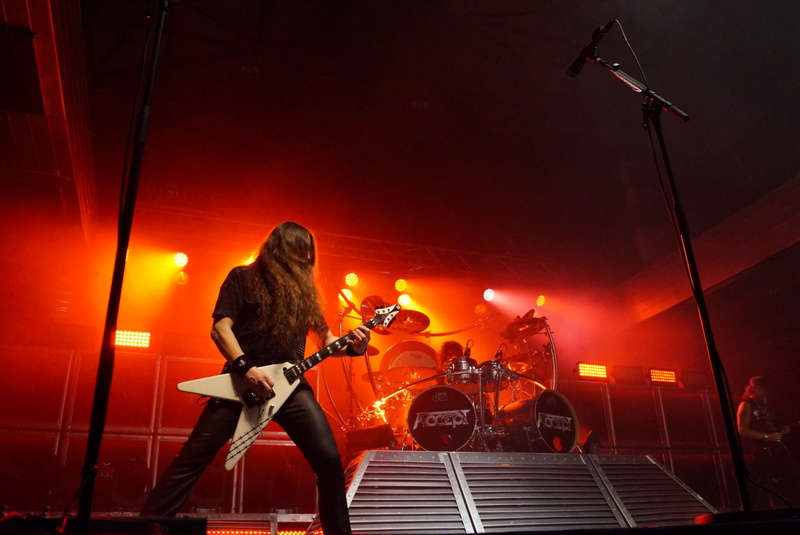 Their last album “Blind Rage” is no exception and keeps on raising the intensity bar of their branded Teutonic metal up to the limit of every metalhead’s neighbor’s complaint; all the elements that made their style a classic in the heavy metal realm are pretty much still there, stronger and tastier than ever. We have testified their artistic and popular success in a Leipzig night of the second leg of their European tour that will touch Greece, Poland, France, Hungary, Sweden, Slovakia, Austria, Belgium, Slovenia, Czech Republic, Finland and obviously Germany throughout the spring/summer period, bringing real heavy metal to the people. Hi Wolf, on the road again with two new members on board; how is the working chemistry within the new line up? 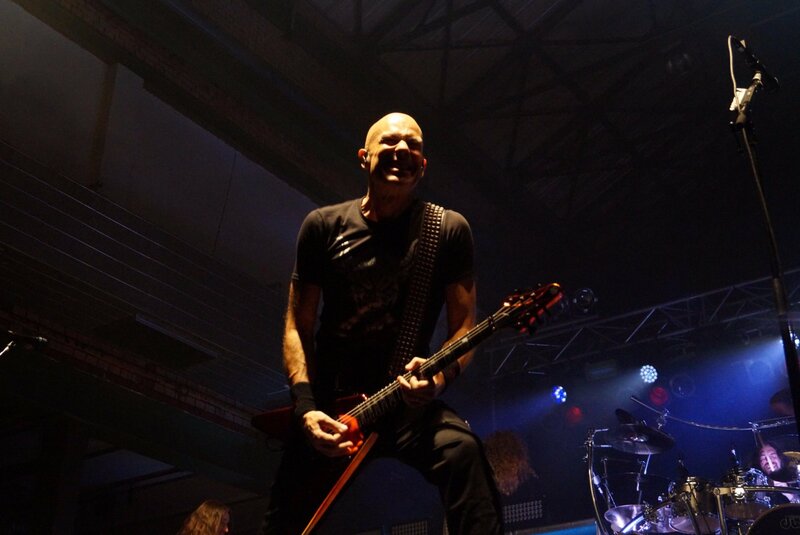 Wolf Hoffmann: Chemistry is great and we have much fun. However, it is intense work to get the new guys to fit into the concept and quite demanding life on stage and off! 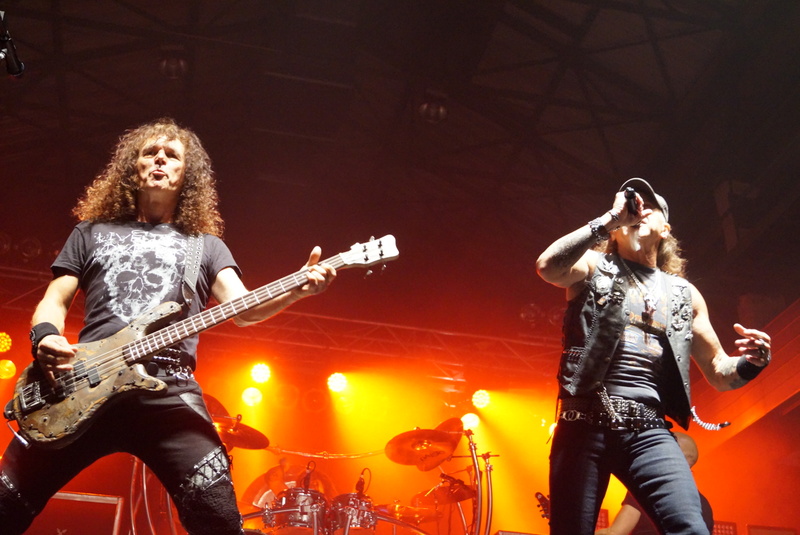 You and Peter (Baltes) are the sole original members of the band and now, after three great albums, Mark Tornillo can be considered an integral part of the family; did you imagine at the beginning that it could have worked out so great with an American singer very few in Europe knew about? Calculated risk, or total risk? Neither! 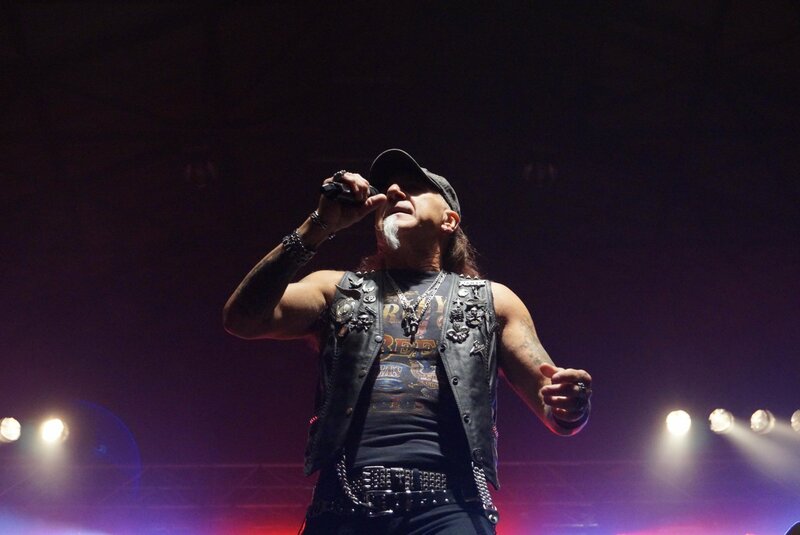 The story with Mark Tornillo is a very special one. We did not look for a singer and he did not look for a band. And there was no way we could have planned anything like what happened to us! Peter and I had a jam session just for fun and Mark came to say hello and have a beer. That was the beginning of an unbelievable adventure and it is so fascinating, because we did not even imagine anything like it. After all, Peter and I have been 15 years out of the business and Mark as well for decades – during a time the internet “happened” to the world…. It was highly unlikely that we would go anywhere. But we clicked and his voice made Gaby fall in love with him and that was that. She was in heaven and so were we. Everything after that until today is a nonstop miracle and we are pinching ourselves every day: Does that really happen to us? REALLY? When I heard “Blood Of The Nations” for the first time I was stunned by Mark’s performance and how it suited perfectly your music…it was totally Accept but still maintaining his own identity; for other classic metal bands like Maiden and Judas Priest was really difficult to have their new singers accepted by the fans, but I’m pretty sure no one argued about Mark’s pipes…or not? I believe the fans went through the same as we did: Disbelief first, acceptance second and now we got asked, wasn’t he there from the beginning? 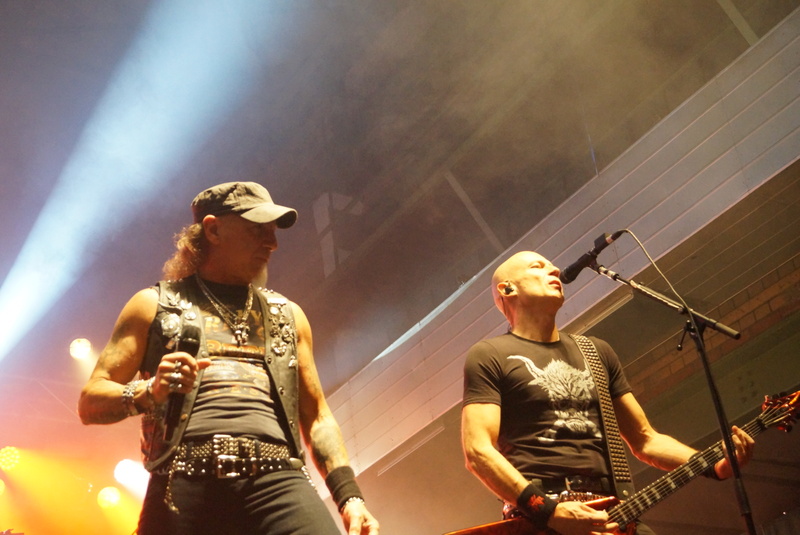 I guess, we are an authentic entity as Peter and I are doing what we are doing since we were 16 years old – writing ACCEPT Songs and performing the way we perform – together. If we would have been “looking” for a vocalist with all that what Mark is for us – we would be still looking. And we are not the only ones who are positively shocked, that , yes, he is older and so are we, yes he is a down to earth guy and so are we…. Yes, he understood the ACCEPT Principal on and off stage and he is fine with that and we do not need to hold hands with him, we enjoy the diversity of our lives we live and he understands, that Peter and I are exploding with creativity and that we have a fire in our belly that is still pretty untamable and nothing can stop us right now! And – he is a great deal of our inspiration. As long as fans enjoy us – we will deliver. 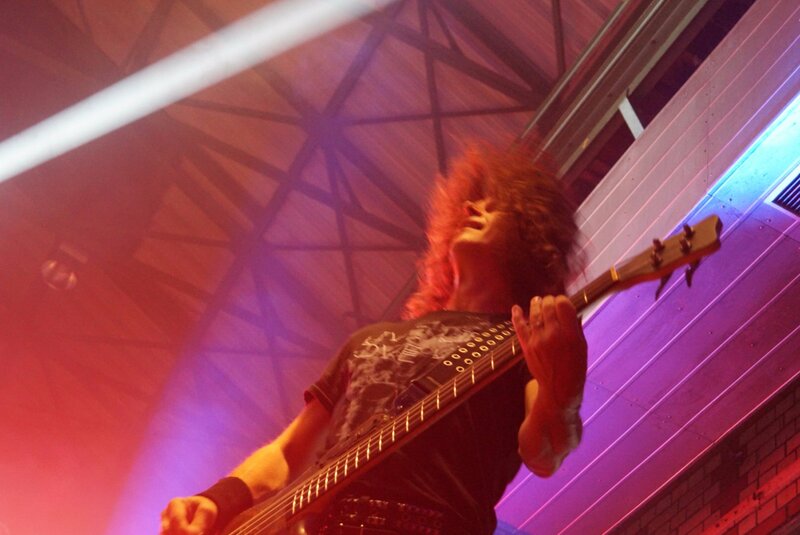 Everything we are – we owe to our fans and I cannot even begin to explain what they give us, when we are on stage. We have 15 music years to “retrieve” we are still very hungry for more! I’m a big fan of “Objection Overruled” on which you were the only guitar player; with Herman Frank leaving again, have you thought about the possibility of carrying on as a four-piece or was it never an option? 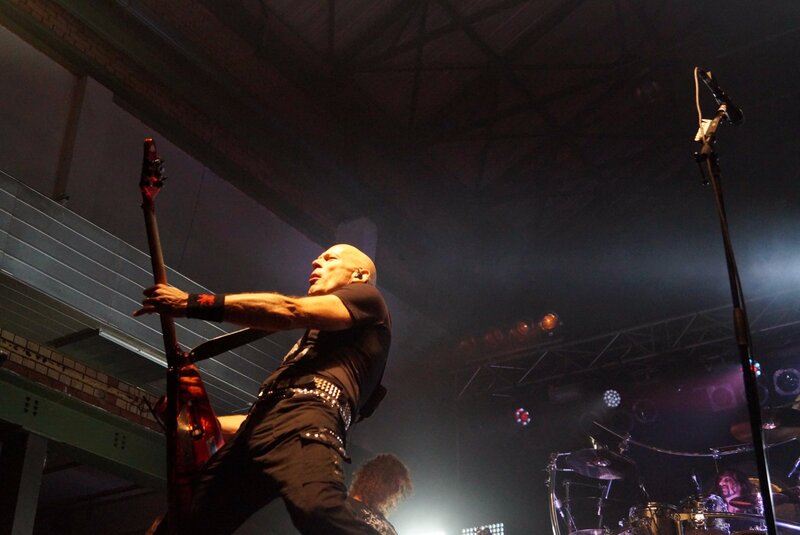 I was nearly 95% the ONLY guitar player on ACCEPT records and I never wanted to make a big deal out of that. Herman Frank has been with us for LIVE Gigs in the 80’s and again for a one time tour in 2005, where promoters asked us to come together with Udo one more time. At that point everybody involved, knew it would be only a one-time thing and we all returned to our lives until 2010, when we asked Herman Frank and Stefan Schwarzmann if they wanted to join us for an adventure, no one knew where it was heading … As they, like Udo since the 80’s, pursued their careers for decades there was no reason to tell them to drop anything. And they signed up every year for another tour and another, until the seized the opportunity to have a band of their own and a record deal. All power to them!!!! Yes, we thought about a four piece band many times, but we and our fan are old fashion ….2 Guitars and we’re sticking to it! Three records in a six years time span it’s the testimony of a reinvigorated creative inspiration; are you already working on some new material? Three releases in 5 years…Yeah, that is kind of something and you are asking that while we are still on the BLIND RAGE TOUR Part II until December 2015. Yeah, the way Peter and I feel it is safe to say … we will get back to writing songs, soon. But we will take our time. 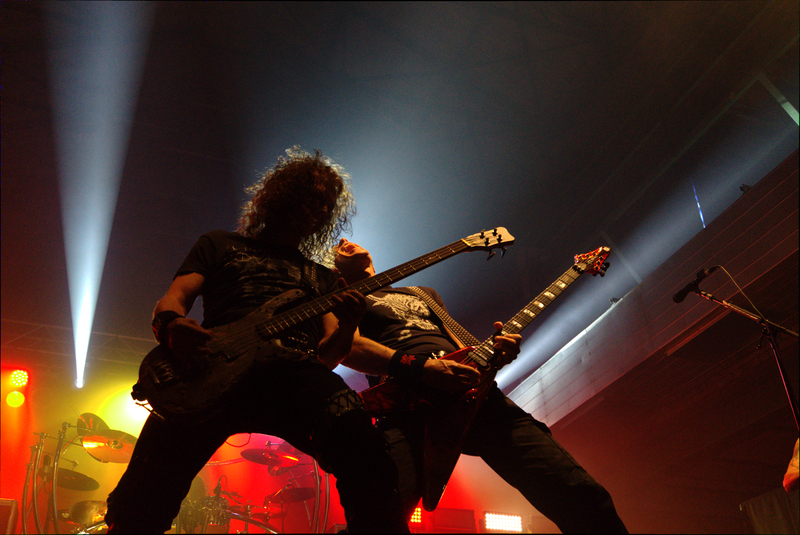 Uwe Lulis is a well-known and appreciated veteran of the German metal scene, he’s a great guitar player but also a strong songwriter; are you excited to start this new songwriting partnership or, for now, will you continue to write with Peter and Mark? 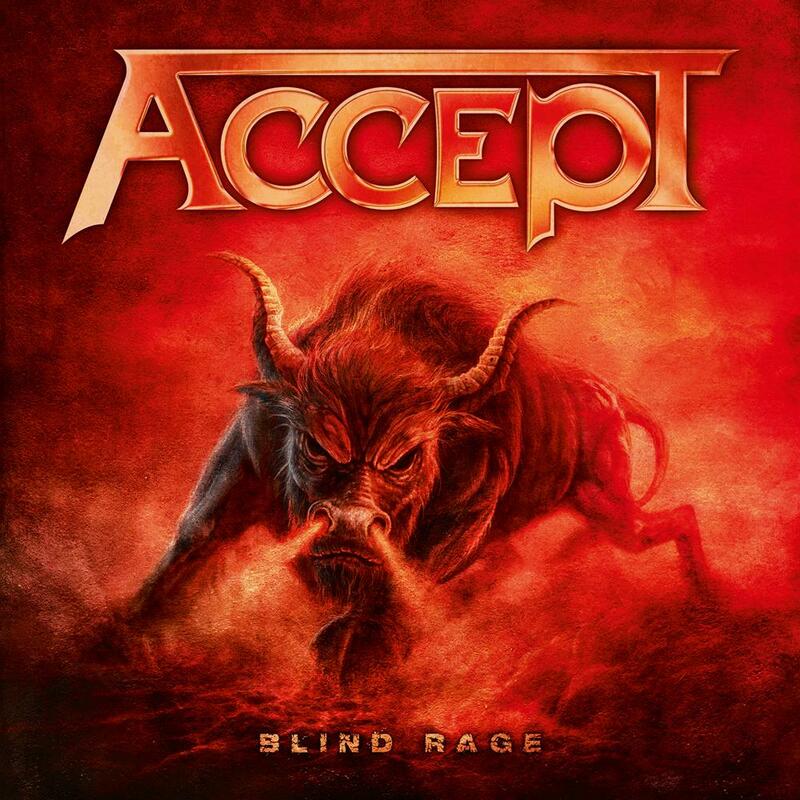 ACCEPT has a history in all this and it goes back all the way to the end of the 70’s. 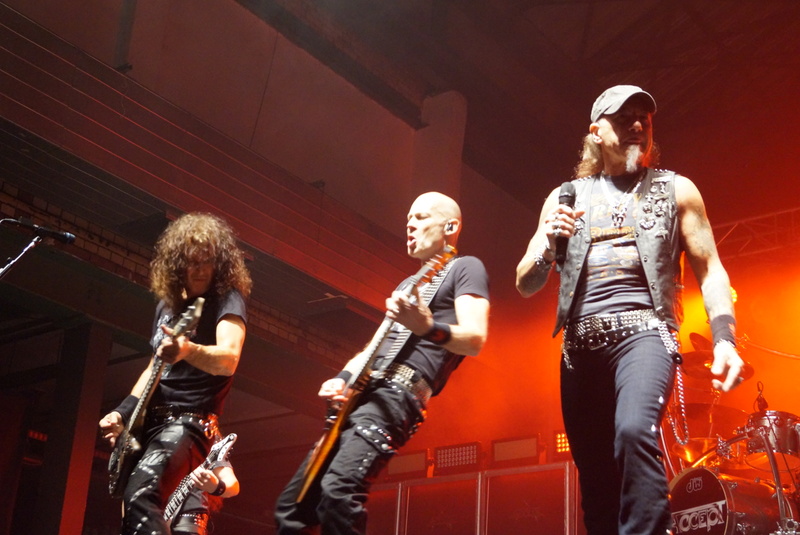 Uwe sure is a great songwriter, but ACCEPT is ACCEPT and that is a total different ball game. Of course, you never know – but for now we are still in the process to grow together on stage. Uwe is pretty close to my musical approach and that leaves the door open to many things. But, Peter and only had one songwriting partner ever and that was Stefan Kaufmann and DEAFFY and DEAFFY passed the torch to Mark regarding the lyrics. But she is still involved in all aspects of ACCEPT. Could you tell us about the working relationship with Andy Sneap, a fellow guitarist? Is your collaboration still on for the future? Oh yes, we are very at ease with each other and he is very close. I do not see why we would change any of our winning cards. It worked so well for us! He was another one who joint us on our amazing ride and he understands, like Peter and I do, that everything that happened to ACCEPT from 2010 on was amazing and totally unexpected. We hope, very much, that he will stay with us. Looking back in time, to the photo session for the back cover of your first self-titled album, with the colored leather trousers and the make-up…what were you thinking at the time? Could you vaguely imagine that your band would have grown to become one of the most important heavy metal bands on the planet? Looking back I cannot believe that we did that. But we were so young and the record company so overwhelming we knew only one word than: OK, if you think so!!! We pretty much hated it! 1979/80 that was all over when we got a professional manager and this manager is managing us until to this minute. 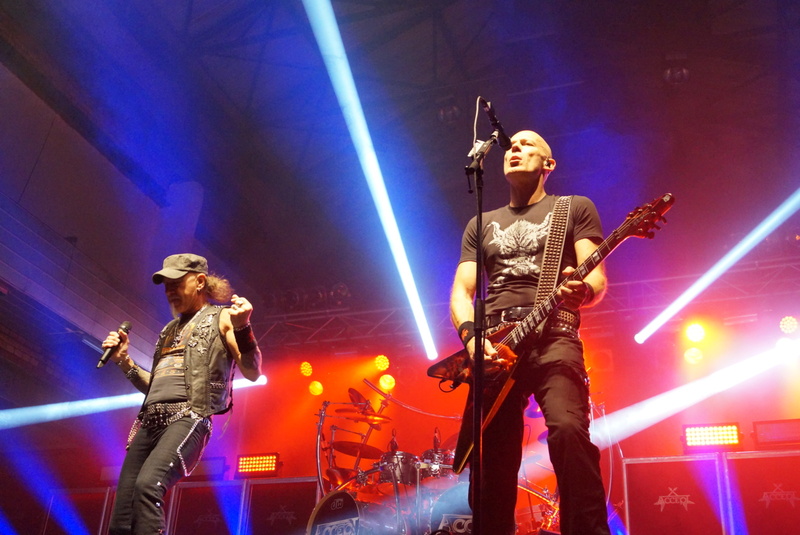 Could you put on the plates of a balance the success of 80’s Accept, a band on a quest to conquer the world, and today Accept, a band playing the most important venues and festivals and still relevant? How do they compare? I believe we still want to conquer the world and we still are on a quest to be better today, than we were last time. We have never changed the goal, the dedication. What changed is, that Peter and I are so much more aware, that we are allowed to live our dream, that we had our first # 1 Alum, that we still are told we are relevant and invited to all corners of the world, that is huge for us! Your only solo album, “Classical”, is now long out of print, reaching considerable prices on eBay; are you considering a reprint at some point? Yes, indeed I do. Stay tuned. Classical music is very important in my life and I love it, always did! But right now, I am overwhelmed with ACCEPT obligations! But you will not hear me complaining about that! I hope, there will be an opening one day I’ve got something in the pipeline…Yes, I do! As a fan I could hardly choose my favourite Accept record between “Balls To The Wall” and “Russian Roulette”, but what’s Wolf Hoffman’s most heartfelt recorded episode in his band history? Hard to say. Each Album is a slice of our life at that moment and very important. 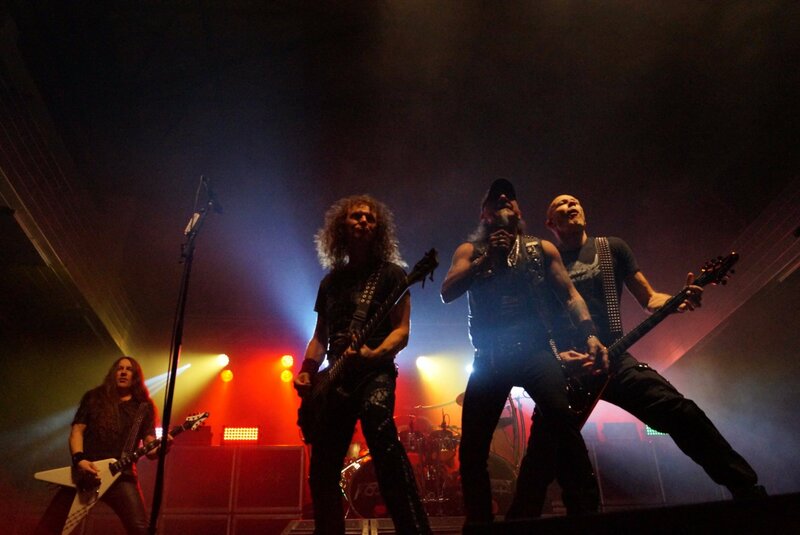 And since I believe the best ACCEPT Album has not been written yet ….ask me much, much later…. 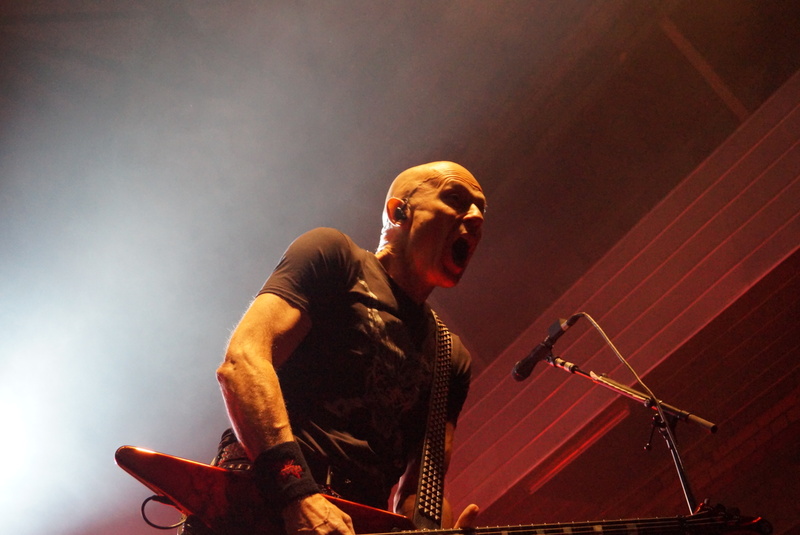 As I said, finishing the BLIND RAGE TOUR and then ….take a deep breath and start all over again. Thank you Wolf, this has been an honor.